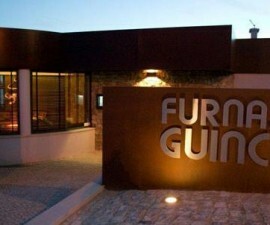 The Meste Zé Restaurant is located right on the beachfront on the rugged section of coastline that is known as Guincho. 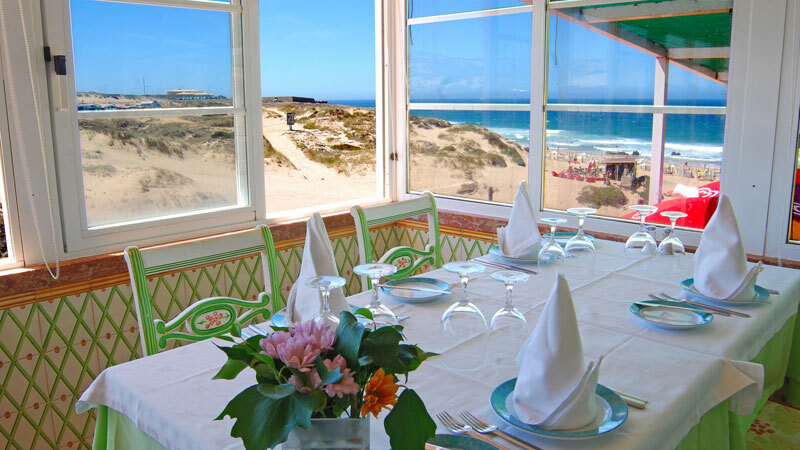 As the sister restaurant to three other well-respected eateries in Portugal’s Cascais region: The Mar do Guincho, Restaurante o Faroleiro and Quinta do Farta Pão. Meste Zé Restaurant has a strong reputation that precedes it and one that it does not fail to live up to. This is one of the longest-established beach restaurants in the area and it is easy to understand why. 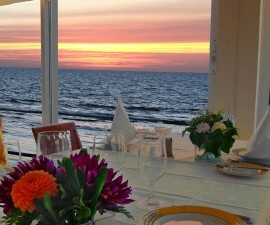 The location of the Meste Zé Restaurant is second to none. Its large dining room is light and airy and orientated to make the most of the spectacular views out across the rock and sand coastline where the Atlantic rollers end their journey east from the Americas. The wide outdoor terrace makes the perfect spot for a meal for two or a relaxed family lunch in the sunshine – though there is plenty of shade to be had to protect the little ones from the midday rays. Service is very friendly and the overall ambience is casual and upbeat making it a pleasant choice at any time of day. 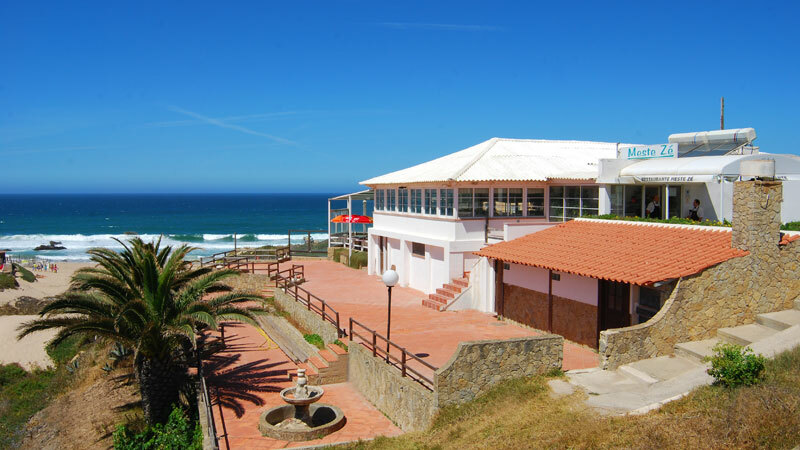 Featured in the Michelin Guide, this delightful seafront eatery specialises in serving traditional Portuguese cuisine with a modern touch and with an emphasis on selecting the freshest, tastiest local ingredients. 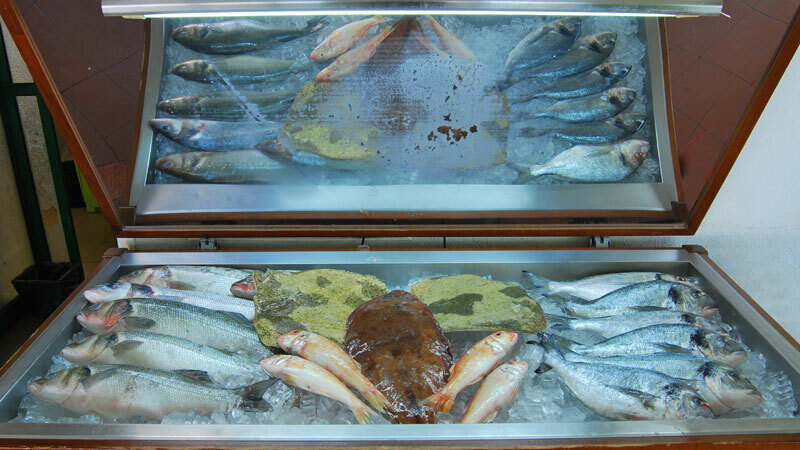 Seafood and fish are carefully selected daily from the Cascais fish market and guests can even choose their own to order from the restaurant’s vivarium. Choose from tasty oysters, octopus or shrimp to begin your meal before moving onto the house specialities of clams in a choice of styles, deliciously fresh lobster or stuffed crab. The seafood rice, cataplana or seafood platters are perfect for sharing and provide a real taste of some of the best that this restaurant has to offer. Fish dishes include sea bass, bream, sole, cod, red mullet and turbot – try the squid brochette or red mullet with capers for something special. 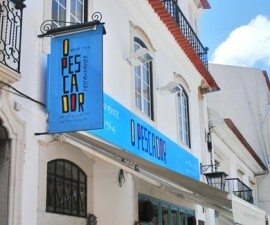 The seafront location invites diners to opt for fish or seafood but Portugal is well known for its meat and poulty and meat lovers are well taken care of at this Cascais eatery. Expect to pay between 25 and 35 Euros for a main course and allow extra for a well-selected bottle from the extensive wine list. There is plenty of parking available as well as disabled access, making this a firm favourite with locals and visitors alike.